Although R.L. 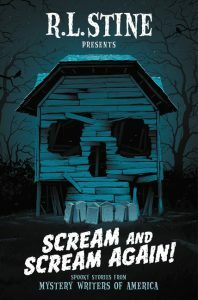 Stine’s edited collection of spooky stories for middle-grade readers from American mystery writers, Scream and Scream Again! aren’t exactly horror stories by definition, mystery and imagination play heavily in them as the authors spin the element of fear into every day, ordinary things. 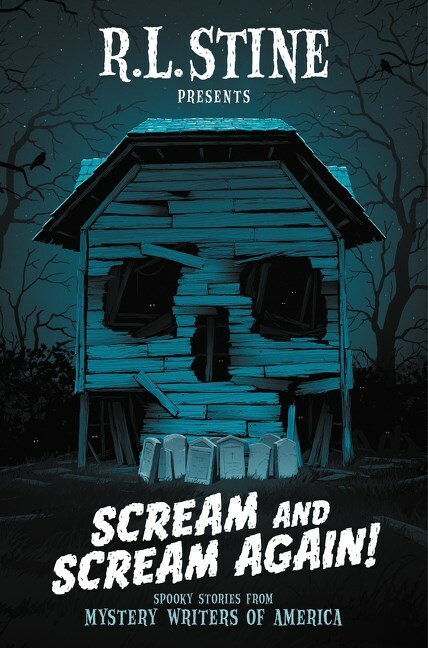 In his introduction, Stine promises twenty different stories by twenty different authors, all beginning or ending with a scream and all waiting to give readers the “shivers and shakes.” Some of the screams come from giddy, gleeful moments like roller-coaster rides while others result from shock at dealing with a morbid or utterly uncanny situation like encountering a zombie or being buried alive. The authors establish fears from the usual tropes, then ignite the adrenaline with an expansion on that fear. In some of them, surprises come after a convoluted trail of suspense. But, like all good stories, they end with someone having learned something and leave the reader thinking. For example, in adolescence, how often have we experienced shame and wanted to be somebody else, not realizing that we’re special without the clothes and technology and gadgetry that another possesses? In Tonya Hurley’s short story “The Girl in the Window,” Mable wishes for dresses like Lydia’s and even wishes she WERE Lydia. Wearing one of Lydia’s dresses, Mable is star struck by the transformation. She poses, takes selfies, posts them, and basks in the “avalanche of likes and loves . . . . The comments and emojis burst onto [Mable’s] page like Pop Rocks in [her] mouth. A digital explosion of approval” (346). Mable learns the hard way that we must be careful about what we wish for. While some of the stories carry subtle morals, occasionally the moral is explicitly stated: “Tiny changes have big consequences” (384). Regardless, all twenty of the stories in this collection arouse feelings of fear, shock, disgust, or a heightened sense of the unknown and/or mysterious. Tagged horror stories. Bookmark the permalink.